The Northern Levant Basin offshore Lebanon is the last place to be explored in the Eastern Mediterranean. However, following up on the country’s 1st successful offshore licensing round in 2017, acreage in the prospective Northern Levant Basin is once again up for grabs. The prolific hydrocarbon indicators already identified suggest that this undrilled acreage will make Lebanon an exploration hotspot. Surrounded by proven hydrocarbon discoveries to the west and south, including the offshore fields Tamar, Leviathan, Aphrodite, Zohr and Calypso, as well as the many other discoveries onshore to the east in the Palmyrides, the Lebanese Basin is ideally situated for hydrocarbon exploration, lying as it does in an area proven to have favourable trap, reservoir and source rock combinations. The first exploration well offshore Lebanon will be drilled in 2019 with more wells to follow in 2020. 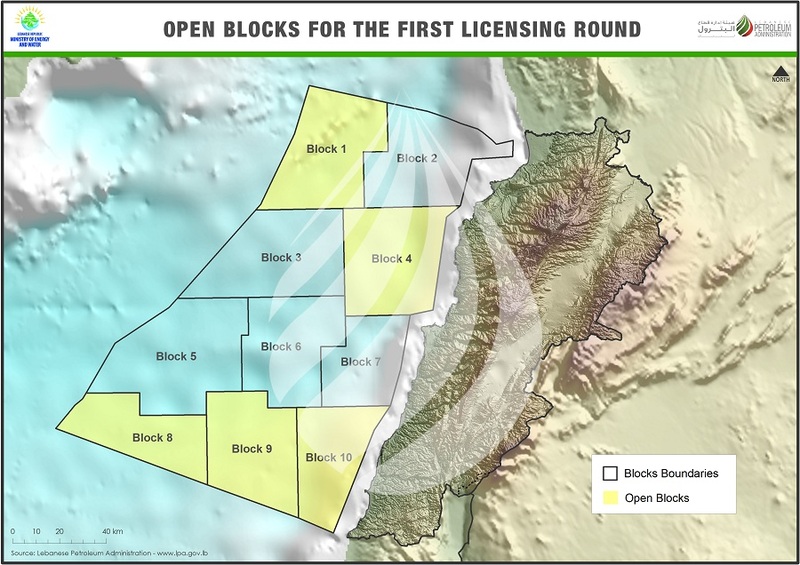 Total, as part of a consortium comprised of ENI and Novatek, is operating in Blocks 4 and 9, which were part of the petroleum licences awarded during the 1st Lebanese offshore licensing round. 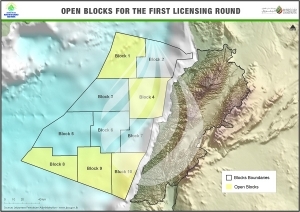 Hydrocarbon exploration in Lebanon is moving at a fast pace due to the accessibility of extensive geophysical data, which was made available even before the closure of the first offshore licensing. This remarkable – possibly unique – situation, means that this wealth of information will allow stakeholders to learn a lot about the offshore hydrocarbon potential of the area, right up to prospect level, ahead of the important decision-making processes inherent in the industry. After Permian-Triassic rifting, the Levant Basin and adjacent areas located along the south margin of the Tethys ocean remained a passive margin for a long period of geological time. It is therefore unsurprising that mapped prospects offshore Lebanon, identified using the available seismic data, share the same trends as nearby discoveries. Various prospective targets have been identified offshore Lebanon in siliciclastic, calciclastic to bioclastic lithologies. These targets are found in structural traps such as symmetrical anticlinal structures and simple 3-way dip faulted anticlines. There is also evidence of stratigraphic traps such as pinch-outs with associated direct hydrocarbon indicators. The creaming curve of the Levant Basin was flattening prior to the Zohr (carbonate) discovery, indicating that the Oligo-Miocene play sourced from Nile-derived deepwater fans is maturing. In essence, this means that the likelihood of large discoveries in the areas already explored is in decline with remaining prospects in these areas expected to be smaller with a lower probability of discovery. Two conclusions can be drawn from the aforementioned fact. The first is that offshore Lebanon, being the last undrilled acreage in the Levant Basin, is an area that should be integrated into the exploration cycle. It can be demonstrated that the 250-300m Early Miocene sand sequence, proven in the south Levant platform, thickens to over 1 km in the north Levant Basin, so the Oligo-Miocene succession offshore Lebanon can be seen to provide excellent targets for biogenic and thermogenic hydrocarbons. It is important to note that, prior to the collision of the African plate with the Turkish fold and thrust belt, which effectively closed the passage between the Mediterranean and the Persian Gulf, the previously open seaway was subject to strong anti-clockwise contourite currents on the Mediterranean margin. It is thought that these that would have de-silted the turbidite flow. An equally important conclusion that can be drawn from the creaming curve is that the 2015 Zohr discovery was a paradigm shift in the exploration cycle. This carbonate discovery was subsequently followed up with the lookalike 2018 Calypso discovery in Cypriot waters. Seismic profiles offshore Lebanon indicate the presence of carbonate platforms and encouraging build-ups of the same nature along the margin. Given the impact of recent giant carbonate discoveries in the Eastern Mediterranean, these carbonate build-ups constitute interesting targets for any future exploration activities. Gas or Oil in the Levant Basin, Offshore Lebanon? We Expect Both! Basin modelling shows a strong potential for a mixed biogenic and thermogenic system offshore Lebanon. Recent studies and modelling reveal the potential for several gas-prone and oil-prone source rocks, found from the Triassic to the Neogene, feeding into the North Levant Basin. The majority of the mapped prospects offshore Lebanon are generally assumed to be filled by dry biogenic gas, like the adjacent Leviathan and Zohr fields and the many other discoveries in the Eastern Mediterranean. However, a credible oil play from an oil-prone source rock suggests the potential for large oil fields offshore Lebanon. 3D modelling undertaken by Stratochem, coupled with over 200 hydrocarbon oil seeps observed across the north Levant Basin on Synthetic Aperture Radar (SAR) images, tell us that this basin is also generating oil at present.